J.C. Leyendecker was an illustrator best know for his chiseled-featured Arrow shirt men and the elegant ladies and gentlemen in the 1920’s Kuppenheimer clothing adds. 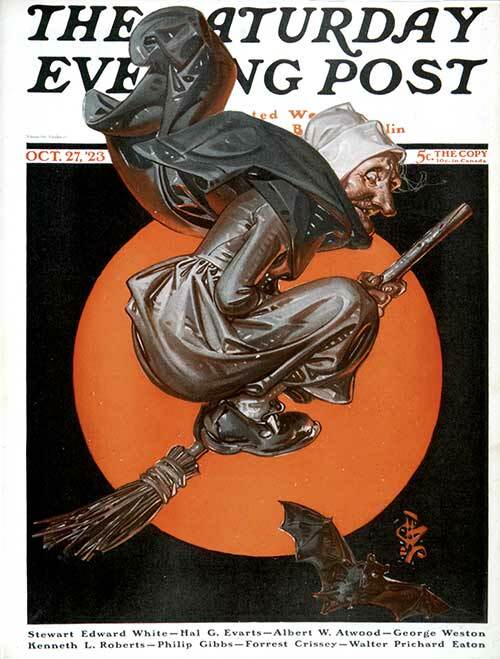 It’s hard to believe that he also created this all too creepy witch, flying across the moon, for the Saturday Evening Post. Pretty amazing. I love the folds in the cape.